"More than any of its recent predecessors, this administration has a penchant for secrecy." "There is a veil of secrecy that is descending around the administration which I think is unseemly." "Why does the White House sometimes seem so determined to close the door on the people's right to know what their government is doing?" Commentators ranging from senior Republican members of Congress to the Reporters Committee for Freedom of the Press have described a dramatic new trend towards increased government secrecy - predating the terrible events of September 11th, but escalating since then as the United States moved to a war footing. 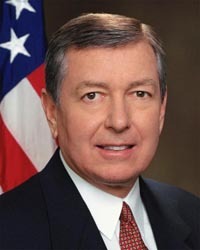 Criticisms of the new secrecy have cited, among other exhibits, the October 12, 2001 Freedom of Information Act policy guidance issued by Attorney General John Ashcroft. For example, an editorial in the San Francisco Chronicle asserted that the guidance effectively repealed the FOIA ("The Day Ashcroft Censored Freedom of Information," January 6, 2002); and a recent Associated Press article referred to the guidance as meaning that "Ashcroft ended the practice of cooperating with Freedom of Information Act requests ...." ("The post-Sept. 11 John Ashcroft," February 24, 2003). In contrast, senior career officials have characterized the Ashcroft guidance as "more continuity than change"; and line FOIA officers who process the hundreds of FOIA requests filed by the National Security Archive ("the Archive") each year have in routine conversation downplayed the impact of the guidance. To test these contrasting views, the National Security Archive last year initiated a "Freedom of Information Act Audit" - borrowing the methodology developed by state and local journalism groups to file simultaneous FOIA requests at multiple agencies and offices, and compile the results in order to identify the best and worst practices. The Archive began with the 25 agencies included in two recent General Accounting Office studies of implementation of the 1996 Electronic Freedom of Information Act Amendments [2001 Report - 2002 Report], a group that accounts for 97% of all FOIA processing in the federal government. The Archive added 10 other agencies with significant FOIA efforts, for a total of 35 agencies in the audit. For the substantive focus of the audit, the Archive began with the Ashcroft memorandum, but soon expanded to include the March 19, 2002 White House memorandum issued by Chief of Staff Andrew Card, as well as the long-standing issue of agency backlogs. This report summarizes the findings of the First Phase of the National Security Archive FOIA Audit, focusing on the Attorney General's guidance from October 2001. This report also includes preliminary findings from Phase Two of the Audit, regarding the White House memorandum from March 2002; but this portion of the Audit is not yet complete. Phase Three of the Audit is examining the backlog problem, as well as the inadequacy of agency reporting in the annual FOIA reports concerning delays in processing, through a set of FOIA requests for the "10 Oldest" pending requests at each of the 35 agencies. For a complete discussion of the methodology, the texts and dates of the FOIA requests, and the findings, see below. The Archive gratefully acknowledges the support of the John S. and James L. Knight Foundation in making this FOIA Audit possible.